If you're building a new home, you can simplify the installation of the Polk Audio 255C-LS in-wall center channel speaker and the Polk Audio 255C-RT in-wall center channel speaker with this pre-construction bracket. Install it before the drywall goes up to mark the speaker locations for your builder, so you won't need to cut holes later. Wings on either side of the bracket attach to studs with screws, staples, or nails and hold the bracket in place. Overview: This pre-construction bracket kit will help with mounting your Polk Audio 255c-RT or LCic in-wall center-channel speaker in new construction. This kit is not meant to support the weight of the speaker, it is only for placement. 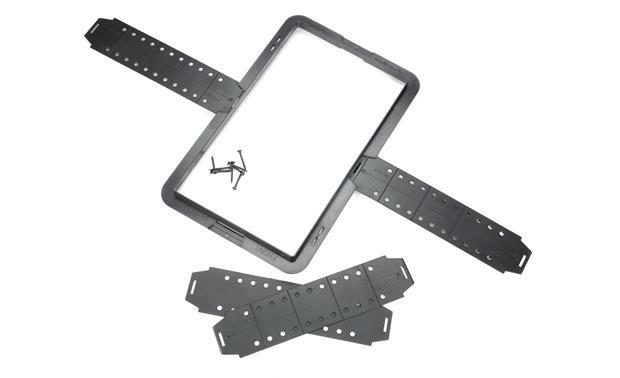 The PB LCic preconstruction bracket kit comes with one plastic frame, 4 snap-on plastic wings and 8 sheetrock screws. Each plastic frame features strain relief wire guides to help with connection of your speaker wire to your in-wall/in-ceiling Polk Audio loudspeaker. 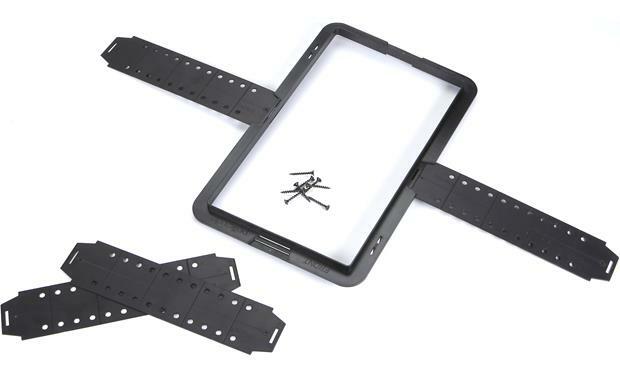 The supplied wings snap into the frames and are used to span your home's vertical studs and attach to your studs via the supplied mounting screws. The Wings feature breakaway segments, which can be used to custom fit the wings between studs. What Polk AudioSpeakers go with 107PBLCIC rough in kits? The Polk Audio PB LCi-C pre-construction bracket kit is designed to help mount either the Polk Audio 255c-RT or 255c-LS in-wall center-channel speaker in new construction. If you would like to discuss further you can contact an Advisor directly by phone (1-800-324-9695) or online chat. Hope that helps! Searches related to the Polk Audio PB LCi-C Pre-construction bracket for select Polk in-wall center channel speakers.